This article looks at two categories of damages that often go overlooked in auto accident litigation: punitive damages for driving under the influence and compensatory damages for physical damage to personal property in the vehicle. Under Georgia law, someone who causes an accident while driving under the influence of drugs or alcohol can be held liable for both compensatory and punitive damages. What does this mean? Compensatory damages are intended to reimburse accident victims for their losses. While certain losses (such as permanent scarring) can never be fully remedied, the law provides financial compensation as a substitute for being returned back to your pre-accident condition. Compensatory damages cover things like medical bills, rehabilitation expenses, lost wages, lost earning capacity, property damage, and pain and suffering. Punitive damages, on the other hand, are intended to punish unreasonably reckless behavior. They are not tied to your actual losses. Georgia law specifically recognizes driving under the influence (DUI) as behavior that justifies punitive damages. Importantly, the defendant does not need to be convicted of DUI in criminal court in order to be liable for punitive damages in a civil personal injury lawsuit. The Georgia law that allows for recovery of punitive damages in auto accidents also caps the available damages at $250,000. However, this cap does not apply in cases involving DUI. As long as your attorney can prove with “clear and convincing evidence” that the defendant was driving under the influence of alcohol or drugs when he or she caused the accident, you should be able to recover punitive damages. Do not accept an insurance settlement just for the damage to your car. If you do, you will be leaving money on the table. We can help you understand your rights and we will take on the insurance companies for you to ensure that you get the full compensation you deserve. Our firm has helped numerous accident victims hold reckless and negligent drivers fully accountable for their actions. 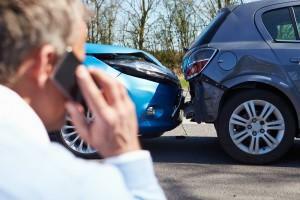 If you have been injured in an auto accident, let us put our experience to work for you. Contact Van Sant Law, today for a free consultation.